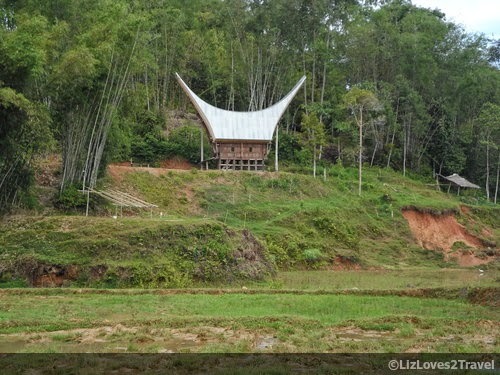 Tana Toraja is located in the central highlands of South Sulawesi. 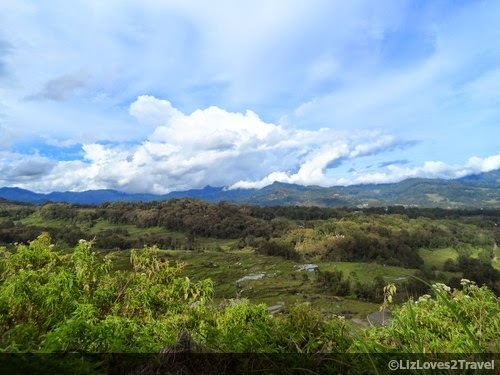 We traveled almost 8 hours from Makassar to reach this mountainous destination. 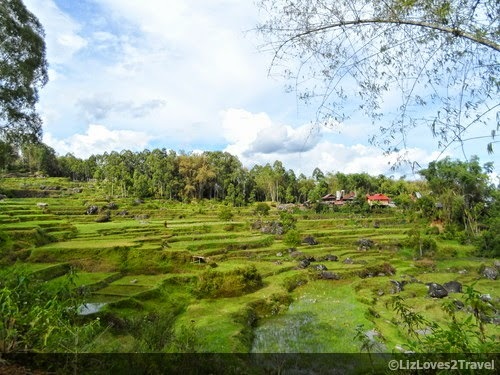 It reminds me so much of Sagada (in Mountain Province, Philippines). The winding road as we go up, the cold weather, the lush surroundings and the coffins in the cave! We never let Day 1 pass without exploring this mystical place. After renting a motorbike and getting a map from the hotel, we were out on the road! The first place we found was Londa. It is 5 kilometers from Rantepao, where our hotel is. 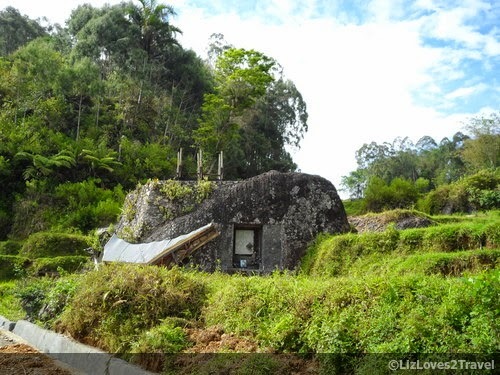 It is one of the many popular grave sites in Toraja. 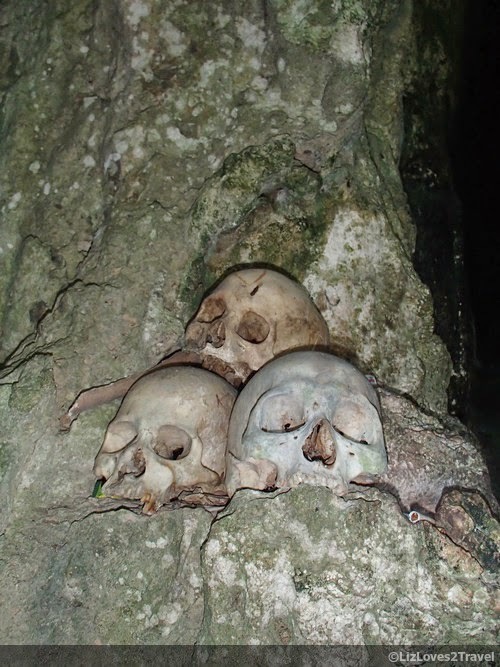 Toraja is known for their unique culture and out of the ordinary funeral rites. 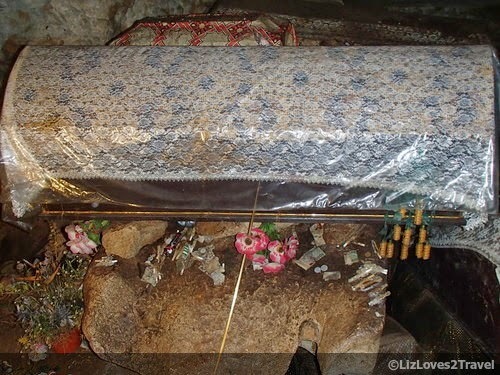 Here in Londa, there are two places where the coffins are placed, at the cliff face outside and inside the cave. 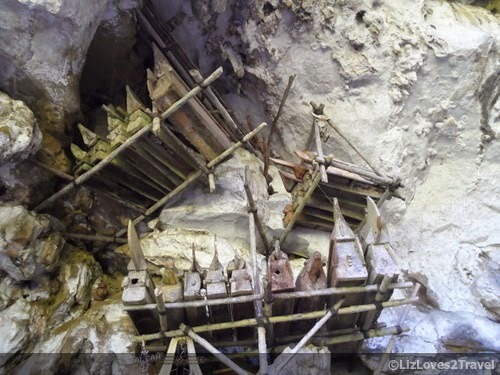 The photo above and below are those that are outside the cave. They were arranged according to their family lineage. Going back to the guide, he will guide you and will light the way for you inside the dark cave full of dead people! I'm sure you'll have a lot of questions (like us) after seeing what's inside. Even if his English is not very good, he'll be able to explain it to you. 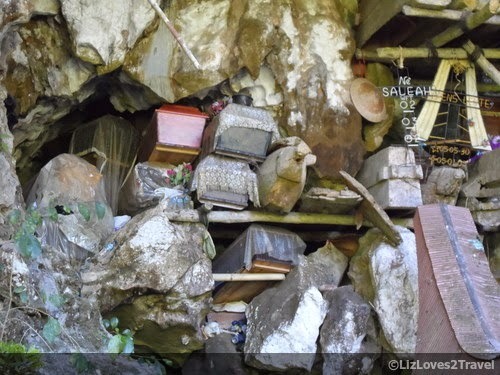 The guide also have his deceased family members inside the cave. 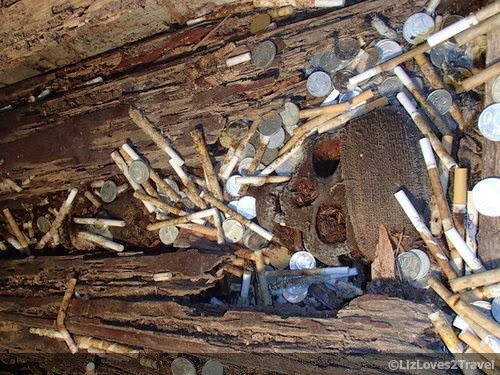 One of the things we asked was "what about those cigarettes?". He said that whenever they visit their dead, they bring them what they like when they were still living. Quite mind-boggling for a first stop, right? 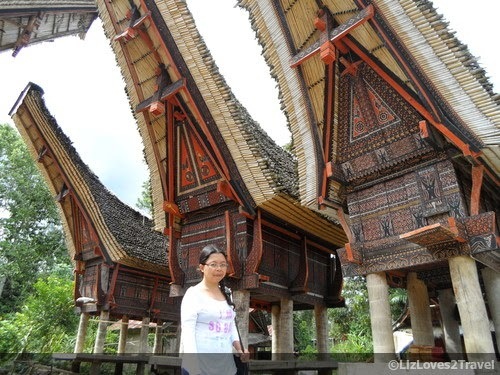 But it made us more excited to explore the rest of Toraja. 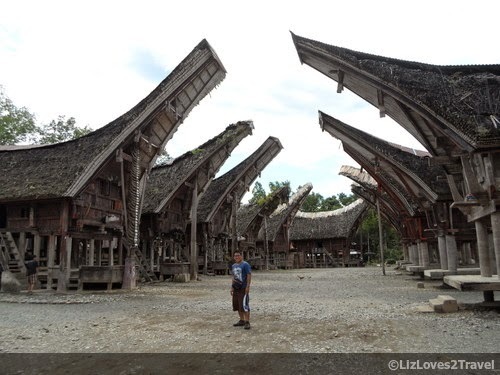 We went farther north from Rantepao and found this traditional Torajan village also known as Tongkonan Pallawa. 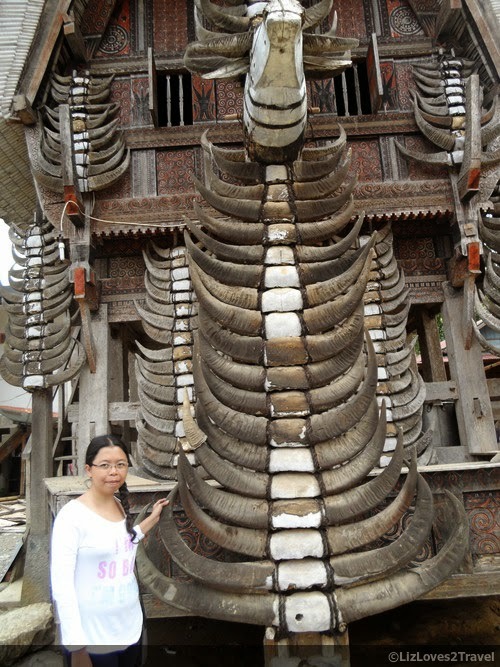 There are 11 tongkonans and 15 granaries in this village. 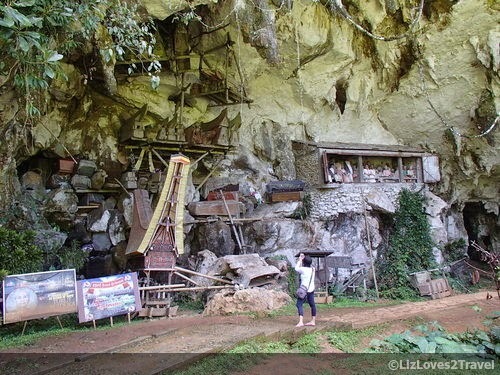 Tongkonan is what you call the traditional ancestral house of the Torajan people. They have a boat shaped saddle-back roof which make them extra ordinary. 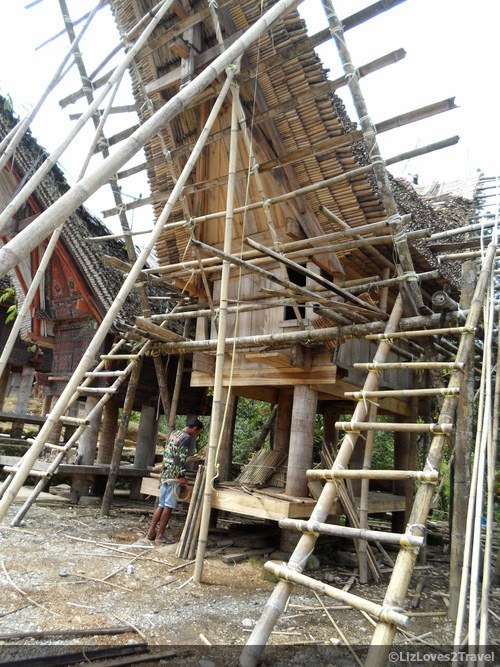 When we arrived, there was an ongoing construction which gave us a glimpse on how these houses and granaries are being built. It surely is a laborious task but after seeing the outcome, it will definitely make you say "wow". Aside from the boat-shaped roof, I also like the how the exteriors were painted.The only colors used were black, white, red and yellow. The patterns were also beautiful. One more thing you will notice among the houses were the numerous buffalo horns hanging in front of them. Part of Torajan's funeral ceremony is the sacrificing or offering of buffalos. So the more horns displayed in your house means the wealthier you are. Yes, those horns can tell your status in the society. Pallawa has a souvenir shop located at the back of the granaries. You can check them out if you love wood carvings. 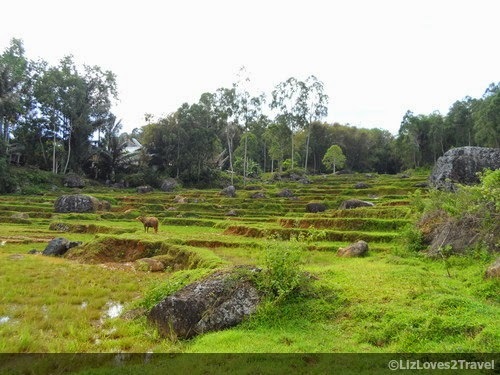 We didn't know what to expect in Batutumonga. We didn't even know how to find it or how it looks like. We just saw from our map that it is doable from where we were at the moment. Still north of Rantepao, we decided to take the road heading there. We passed by isolated traditional houses and mini-terraces. We occasionally saw graves carved in big stones along the road which I actually think very cool. The road became curvier and steeper as we go along, but the views became more stunning too. We rarely saw other people taking this road. From time to time there will be one or two overtaking us or heading to the opposite direction. 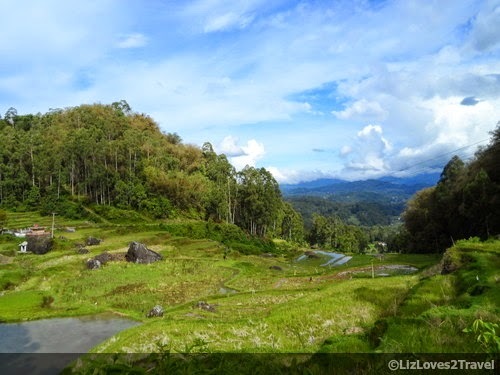 With an altitude of 1300 meters above sea level, you will see the beauty of the surrounding valleys of Rantepao. Not much to do but just feast your eyes with this breathtaking view of nothing but nature. 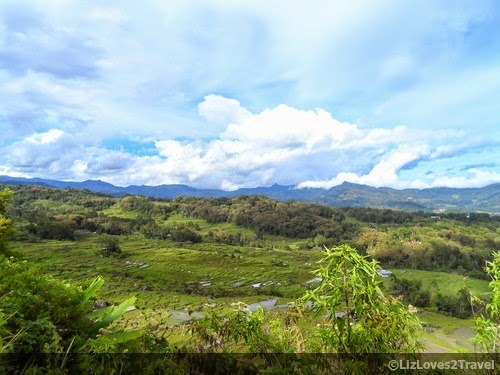 The sky colors of Sulawesi is so surreal it almost looks like edited but it is not. It is really that marvelous! Our adventure was cut short after leaving this place. On our way down, we had a minor motorbike accident. The road downhill had some scattered small rocks in it which made the road slippery. Our motorbike's tire slipped, we fell with it. I suffered the impact more than Beau, so we had to go back to the hotel immediately to observe whether I'll need a doctor or not. Thank God, I only had negligible injuries. I just spent the remaining hours of the day in the four corners of the hotel room. 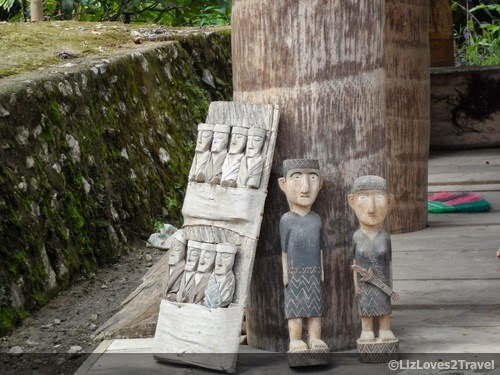 This is Part 4 of my South Sulawesi travel series.